If I achieve nothing else this year, I’ll be pleased to have been involved in the March 27th BBC Radio 4 You & Yours programme piece on the new Wine Investment Association (WIA). The producer called me after being contacted by a PR company working for the WIA and after reading my December post on the subject. He thought it might be interesting to have both myself and Peter Shakeshaft of Vin-X, the man behind the new organisation, in the studio together. In the event, I was due to be overseas when the programme was scheduled, so had to make my contribution in the form of a recorded comment, and ended up listening to the final result in my hotel room in China. Given the easy, unquestioning ride the WIA has received elsewhere in the media, I was particularly gratified to hear the robust way in which the programme presenter questioned Mr Shakeshaft about his previous business experience (see above and this article by Tony Hetherington in This is Money), and his support for cold calling by wine investment companies. Mr Shakeshaft says that all calls made by his salesmen are recorded, and I’m sure that, despite his expressed dislike for regulation of either stockbrokers or wine investment companies, he has learned a valuable lesson from the FSA criticism of his previous stockbroking business Wills & Co (see above) for selling high-risk investments over the telephone to inappropriate customers. For the sake of balance, Mr Shakeshaft says that, as Chairman of Wills & Co, he was not involved in its day-to-day management. I am certain that if he had known what Darren Lansdown, the Wills & Co sales director who was subject to a FSA Statement of misconduct , was doing, he’d have put an immediate halt to it. If you read that FSA statement, it also says much for Mr S’s forgiving nature that he has given Mr L a second chance by making him associate director of Vin-X, at least according to [Mr L’s] Linkedin listing. 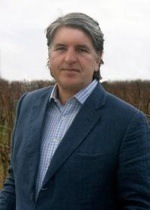 “David has brought insight to the WIA steering group, after being involved with two wine investment businesses in the early 2000s that became subject to public concerns relating to their business models. The lessons learnt by David, led him to develop a detailed understanding of public concerns along with legal, regulatory and state requirements, all of which have been considered in sculpting the WIA code of practice. Those with an inquisitive nature might wonder what those “public concerns” might have been. For an answer, they could read this. Readers of this post and those links can decide for themselves whether Mr S’s open-minded attitude to colleagues with colourful histories makes him a more or less ideal person to champion ethical behaviour by his peers. They might also consider the way that Vin-X, his wine investment company currently behaves. “The fine wine market is expected to grow by 10% in 2012 as strong value buying opportunities for buyers and investors emerge, says a global survey of the wine trade.” Harpers Magazine 15th February 2012″. Now, one might imagine that an ethically-focused person might worry about leaving that year-old quote on one’s site, despite the fact that prices actually dropped by 9.6% that year, but maybe it was an oversight. The last few weeks have been very exciting for the fine wine world; seeing some of the biggest daily movements for quite some time on the Liv-ex 50 index. The same index, which measures the daily price movement of the most heavily traded commodities in the fine wine market is up around 10% since November last year. A great pointer to the overall health of the market. Trade commentator, Decanter.com describes the fine wine market as ‘in recovery mode’ in an article dated Tuesday 26th February. Auctions often provide a good indication of market trends and a series of successful New York and London auctions have got the tongues wagging. What the email neglected to mention was that any comparison of the value of the Liv-Ex 50 value on February 27 2013 and February 27 2012 would reveal that even after those “exciting few weeks”, the index had dropped from £342.11 to £322.02. (To be fair to Mr Shakeshaft, his previous history at Wills & Co might suggest that he’s not a “hands-on” boss, so he may not be aware of this aspect of his business.). As it happens, I do believe that fine wine actually can be a very good place for people to stash some spare cash they are unlikely to need to get at in a hurry, but I worry about it being presented as a sure thing, “double-figure growth” investment, especially by firms that believe in cold calling. People who want to invest in wine can do so by contacting a reliable wine merchant, just as those who want to invest in art can make their purchases in a gallery. They do not need to be drawn into wine investment by a cold call from a salesman tasked with deciding the “pro-active” nature of the the recipient. Particularly when at least one of the people involved in one high profile wine investment company has a proven history of failing to match investment styles to investors. Art and wine investment companies are a modern conceit for which – given the unregulated nature of these businesses – there is no real need.